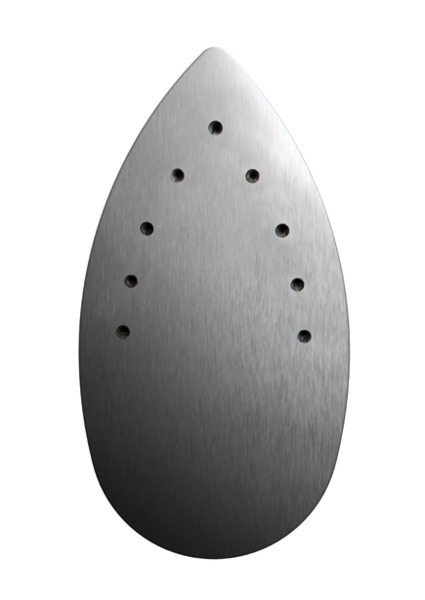 Offering you all the benefits of our technology and know-how, Laurastar Go + invites you to take your first professional steps in the world of ironing. So what are you waiting for! GO! *Synchrony 0% Interest Financing for 6 Equal Monthly Pay plus applicable taxes. Apply online. . Sewing & More Credit Cards can only be used in stores and by phone, but not directly in online checkout, for your protection. Ergonomic: 3 height adjustment settings and a wide ironing surface tapering to a narrow point, ideal for any type of clothing. Auto stop function: the iron turns off automatically after 10 minutes of non-use for enhanced safety and energy efficiency. Easy to move around: with its pair of integrated wheels. 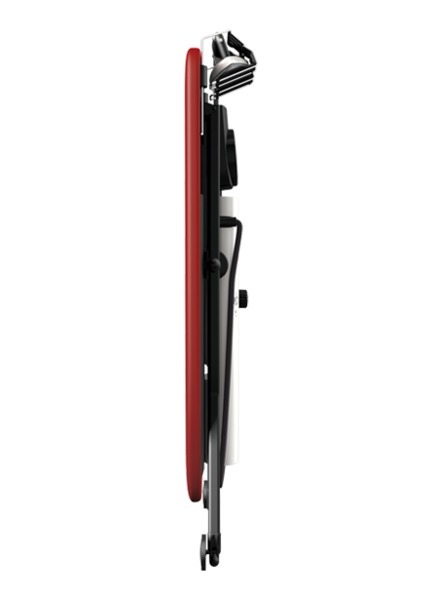 Easy to store away: folds away to a compact 18 cm / 7.1 in. If Practical Is What You Are Looking For? Go! 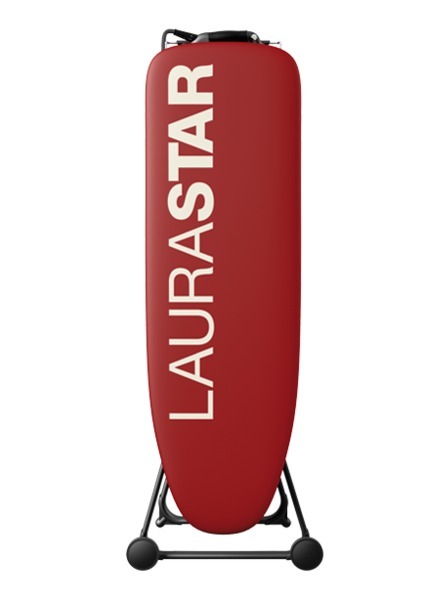 Laurastar Go + unfolds and folds away at your command. It’s so easy to store away and take out again. 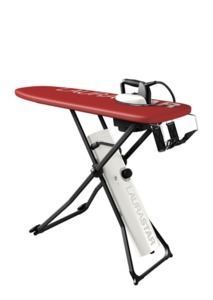 No more excuses not to iron! To make it even more comfortable and easy to use, Laurastar Go+ comes with an Aqua filter which filters the water, avoiding problems caused by limescale. It also has integrated wheels, leaving you totally free to move your system around. Perfect ironing, here we GO! 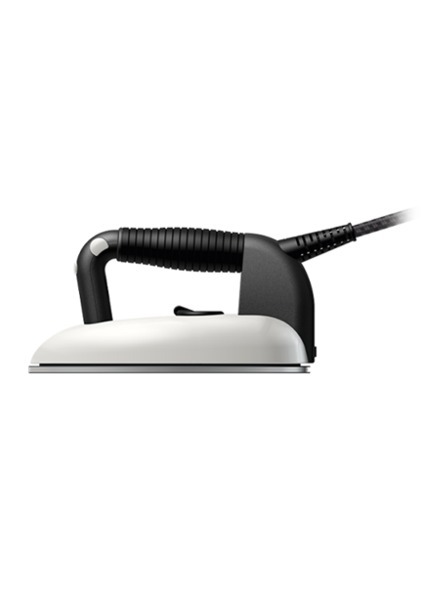 Laurastar’s exclusive professional soleplate diffuses an extra fine and powerful steam that adapts to all fabrics. Its rounded shape helps to prevent unwanted creases. The table includes a blower and vacuum system to prevent unwanted creases. The direction may be changed from blower to vacuum simply by pushing a button. iron & steam and an active table that includes a blower and vacuum system. 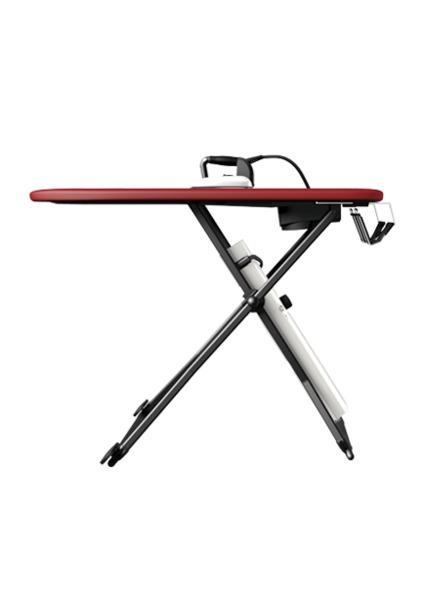 For flawless, smooth ironing results, GO! 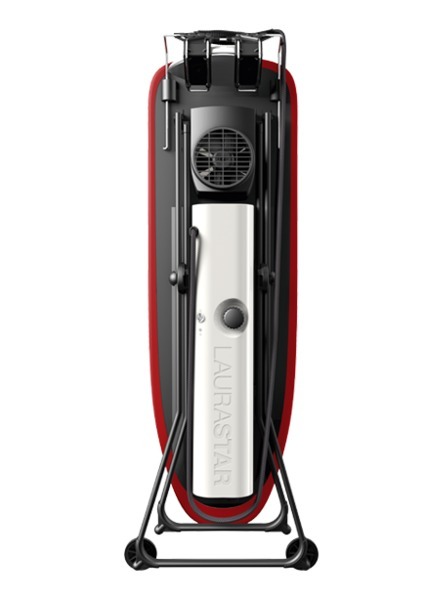 Laurastar Go + comes with a design, highly-resistant cover, a protective soleplate for delicate fabrics, a special heat-resistant iron mat, a drain tray, a steam cord holder, a water filling bottle and a separate anti-scale water filter. It has a 2-year guarantee. START AND AUTO STOP. Ready to use in 8 minutes. Automatically shuts off after 10 minutes of non-use. ACTIVE BOARD. Equipped with a blower and vacuum system for a perfect result without creases.